Roughly a year ago, I was in search of good Chinese food in North Delta. For those who live out here, that is akin to finding an honest politician. Not an easy feat. It turns out that there are not too many to be found. Ming Shing, Kam Wah and the New Ruby didn't fit the bill. Maybe it was lowered expectations or just relief that I was so enthusiastic about the food at Yummy Wonton. In hindsight, it wasn't outstanding (probably just decent compared to Vancouver); but pretty good for North Delta. Seeing that they also have Dim Sum and with the meal at Lotus still fresh in my memory, Pomegranate and I decided to give it a go today. Interestingly, I sat at the same table as my last visit. Nothing really wrong with that other than the fact that there is not a single seat in this place with good lighting. Thus, in the middle of the day, I had to use my flash. Not the most ideal thing to do; but I had no choice. I kept it as discreet as possible. The first dish we got was the most important and if you look at the picture, something struck us as a bit odd. 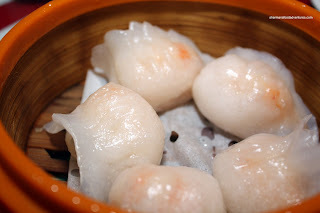 Yes, there are 5 Steamed Shrimp Dumplings rather than the usual 4. For me, this was really strange since it's not normal to have that amount and honestly, what Chinese restaurant will give you more than you need? Hey, we're not complaining! I've always joked to Viv that 2 kids are enough since Dim Sum usually has servings of 4 (yah, lame excuse, I know...). I'm a little nervous that there are places that do 5 dumplings! Anyways, the shrimp filling was quite good with a nice crunchy texture and modestly seasoned. 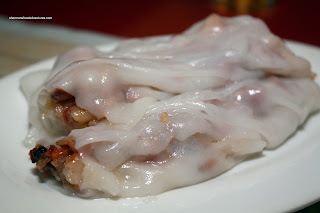 However, I wasn't a big fan of the dumpling skin, it was a tad gummy. 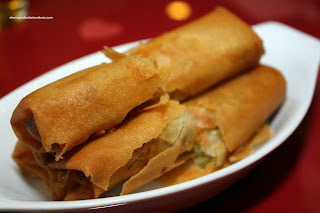 To satisfy Pomegranate, we got the Spring Rolls and for once, they were not filled with shrimp. Hey, I like shrimp; but sometimes I just want a veggie filled one. These were fried up crispy, not oily and filled with crunchy veggies. 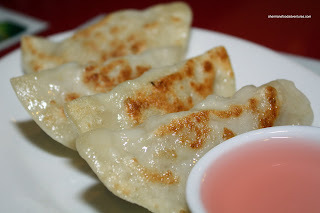 We also got the Potstickers and thankfully there were only 4 of them (LOL...). These were decent with a nice crispy bottom and a moist meaty filling. I was pleased that they provided the correct sweet vinegar as a dip. The vinegar makes the dish. For me, I always have to get a Rice Noodle Roll and I got the BBQ pork version today. For some reason, Pomegranate didn't prefer it. I guess it could be a textural issue because I thought it was quite good. It was soft, not too thick and had a decent amount of BBQ pork inside. It's almost like last time where Hot Mama didn't like the rice noodle roll at Lotus due in part to the texture as well. I guess you have to be used to it? 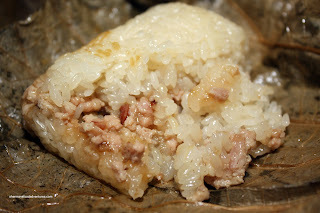 The last dish dish was the Sticky Rice in Lotus Leaves. I thought that the rice was prefect balance of stickiness and moistness. A good amount of pork helped flavour the rice. Hey, what do you know? Another decent Dim Sum experience out here in North Delta. Okay, with that statement, it must be prefaced with caution. If you were expecting Vancouver or Richmond quality Dim Sum, then that might be a stretch; however, it is more than acceptable considering the location. 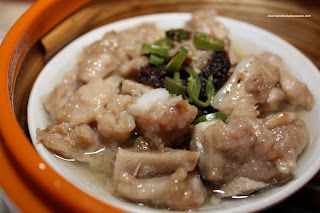 In comparison with its only other competitor, Lotus, I would say that Yummy comes out slightly ahead since the food is prepared with a bit more care and the presentation is a bit more appetizing. With that being said, it comes with a cost since Yummy is more expensive than Lotus. We make 5 shrimp dumplings instead of 4 large ones to cut the steaming time down. Easily one of the favorites, we try to offer speed and value. Thanks for the info Geo. I also do believe it is a good value. 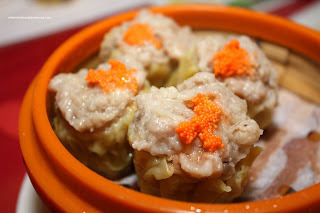 Try Golden Ocean in Kerrisdale for dim sum. And where is your review of Chill.. this I have to see. Did you at least take pictures of the scenery at Chill? Having moved from Richmond to North Delta a few years ago - I was SO HAPPY with Yummy, now if only I can turn the sushi knob up a bit in this area! Yup Crystal, thank goodness for a few decent Chinese places in ND. Sushi is sad here, you're right. I have to lower my expectations quite a bit.